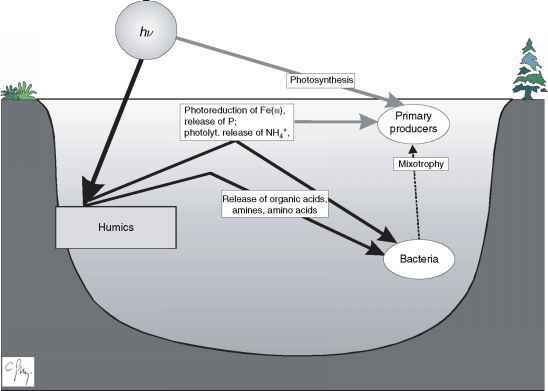 Whole communities or parts of ecosystems, where plants are major components, typically capture a maximum of 6% of the incident light energy in photosynthesis. Nevertheless, full light is often required to achieve that peak transfer of energy. Also much higher capture efficiencies are possible when forcing energy such as wind and wave are present. In many cases, if greenhouse roofs cannot be opened, artificial lighting will have to be introduced to achieve the correct spectrum and intensity to drive the primary production characteristics of an analog ecosystem.